Spend long evenings outside talking and relaxing, basking in the warmth of one of our Campingaz patio heaters. Our exclusive Sun Force Radiant Power burner technology achieves twice the run-time compared with traditional patio heaters. They also incorporate a pivoting head, allowing you to direct the heat where it's needed. 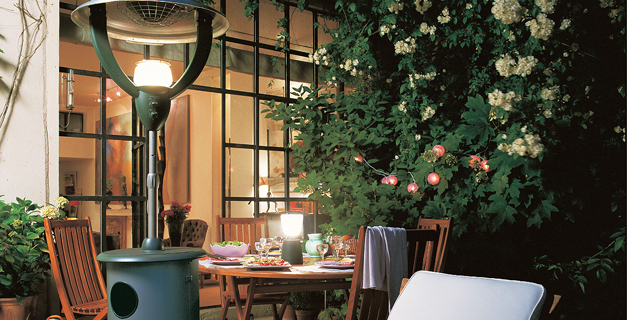 Gardensol heaters are a traditional type of heater, beautifully styled and made to Campingaz quality standards. Gardensol heaters are attractive and benefit from a large stabilizing base.